Take a Word asked for MOVIE STAR and that was easy for me as I've been working with cinema and movie stars since I've started playing with digital art. 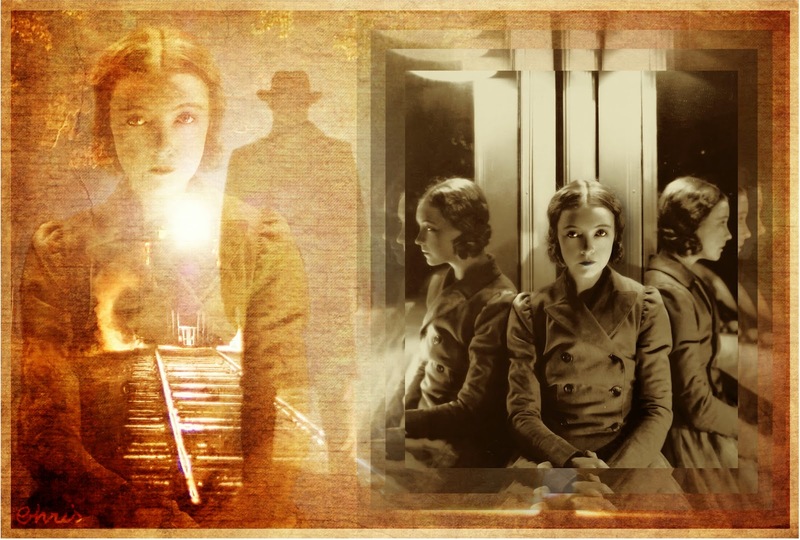 Movie star: Lillian Gish (1929); background: screen shot of The Assassination of Jesse James; texture: Kim Klassen. Beautifully composed collage with magic atmosphere. Well done, Christine. Wow! This is such a striking and creative collage, Christine. I love the earthy colours and especially the lighting. Superb. (Lilian was still appearing in TV and Hollywood movies when she was in her senior years). Beautiful montage, Chris. Wonderful blending and page design. BRAVO! such a creepy, mysterious atmosphere. amazing work. Gostei!Ficou super lindo!Adorei o ar misterioso!